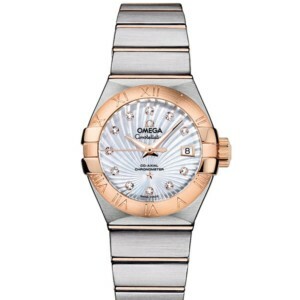 Brand: OMEGAModel No: 123.20.27.60.08.001The especially dramatic and enduring design concept of the OMEGA Constellation line is characterized by its famous “Griffes”, or claws, and striking dials.This brushed model features a champagne dial covered by a scratch-resistant sapphire crystal. The 18K yellow gold bezel, with its engraved Roman numerals, is mounted on a 27 mm stainless steel casebody, and is presented on a stainless steel and 18K yellow gold bracelet.This timepiece is powered by OMEGA’s calibre 1376, a precision quartz movement. Brand: OMEGAModel: 212.30.41.20.01.003OMEGA’s sporty Seamaster collection is a tribute to the brand’s maritime legacy. This exquisite example of our renowned watchmaking pays homage to OMEGA’s dive watch heritage and our adventurous pioneering spirit.This model features a black dial with a date window at the 3 o’clock position. 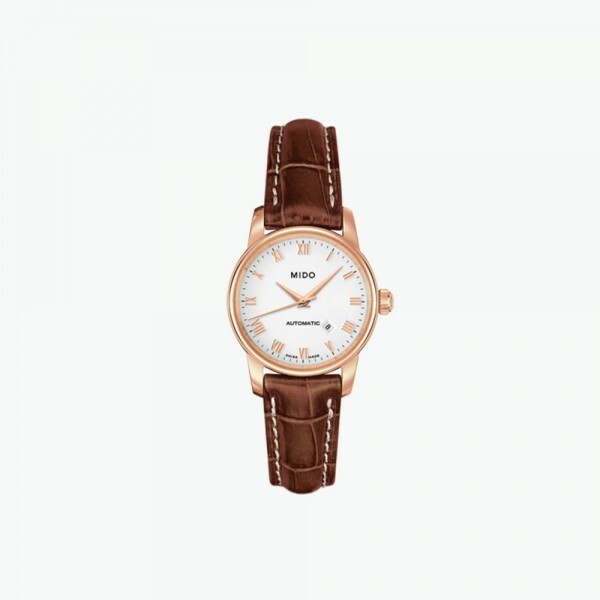 The distinctive dial is visible through a scratch-resistant sapphire crystal. The black ceramic unidirectional rotating bezel is mounted on a 41 mm stainless steel case with a helium-escape valve at 10 o'clock.The watch is presented on a stainless steel bracelet. 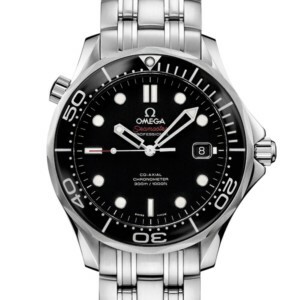 This OMEGA Seamaster Diver 300M is powered by the Co-Axial calibre 2500. 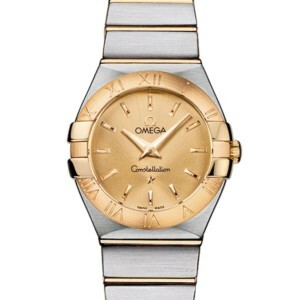 Brand: OMEGAModel No: 123.10.35.60.02.001The especially dramatic and enduring design concept of the OMEGA Constellation line is characterized by its famous “Griffes”, or claws, and striking dials.This model features a silver dial with a date window at the 3 o’clock position and a scratch-resistant sapphire crystal. 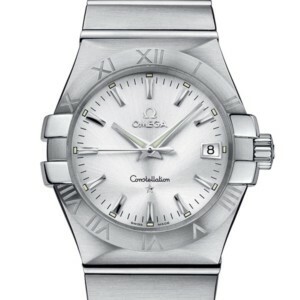 The bezel, with its engraved Roman numerals, is mounted on a 35 mm stainless steel case, and is presented on a stainless steel bracelet.This timepiece is powered by OMEGA’s calibre 1532, a precision quartz movement.